"Louise was the only child who'd spent any time, no matter how brief, in a formal classroom, but Rose believed the circuit taught everything they -- and she -- needed to know. Consistency was the key to success in vaudeville, polishing an act until it became the prettiest, shiniest version of itself. 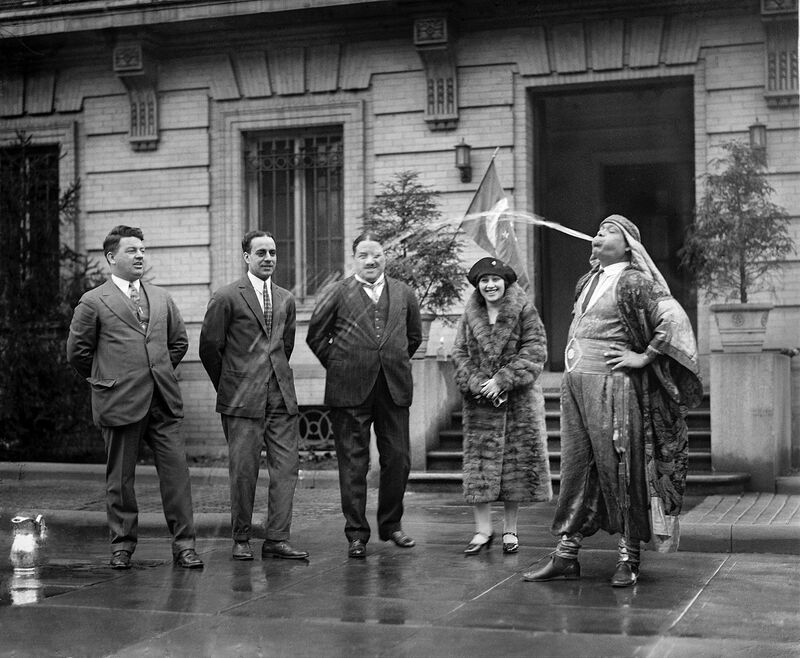 Consider how many times Chaz Chase, the 'Eater of Strange Things,' consumed lit matches in order to make the trick appear effortless, or the practice schedule of Hadji Ali, the master regurgitator, famous for swallowing a gallon of water followed by a pint of kerosene. After his assistant set up a small metal castle a few feet away, Hadji Ali spat the kerosene in a six-foot stream and set the structure ablaze. He then opened his throat and, with the aim and velocity of a fire hose, purged the water and killed every flame. "These sorts of acts dominated the circuit, vaudevillians possessed of talents invented rather than innate. The man who guzzled hot molten lava and belched up coins, the man who swallowed a goldfish and a baby shark and asked the audience which should reappear first, the man who lit gunpowder on his tongue, the man who discovered that his sneeze made audiences laugh and worked it into his routine, honing, over the course of a year, the mechanics of twitching his nostrils and cranking his jaw, the exaggerated intake of breath and sputtering of lips. A performer called 'The Human Fish' ate a banana, played a trombone, and read a newspaper while submerged in a tank of water. Another had a 'cat piano,' an act featuring live cats in wire cages that meowed Gregorio Allegri's Miserere when their tails were pulled (in reality the performer yanked on artificial tails and did all the meowing himself). "Alonzo the Miracle Man lit and smoked a cigarette, brushed his teeth and combed his hair, and buttoned his shirt -- miracles since he had been born without arms. Louise and June were particularly fond of Lady Alice, an old dowager who wore elegant beaded gowns and peformed with rats. The runt settled on the crown of her head, a miniature kazoo clenched between teeth like grains of rice. He breathed a tuneless harmony while the rest of the litter began a slow parade across Lady Alice's outstretched arms, marching from the tip of one middle finger to the other. The girls never understood how Lady Alice controlled the rodents - their own animals weren't quite so obedient -- until one day she revealed her secret: a trail of Cream of Wheat slathered on her neck and shoulders. "Vaudevillians called these signature bits 'insurance,' gimmicks they kept tucked away in their repertoire, always close at hand if a new routine failed. (Fred Astaire once learned this lesson the hard way, when he was replaced by a dog act.) Child performers were considered the surest bet of all; 'kids,' June said, 'were an automatic gimmick.' "
eaglesflyhigher - It's "knew" not "new." The wonders of literacy! The Old Mountain Goat new, as a young boy in Vermont, the WONDERS OF VAUDEVILLE!